Messenger-developing companies can be compelled to operate in Russia under a contract with communications operators and to notify the Russian telecommunications watchdog (Roskomnadzor) of their work, the Vedomosti newspaper reported on Wednesday with reference to the available text of the bill. "Its authors suggest introducing in the laws 'On information […]' and 'On communications' amendments which supplement them with the new term 'information and communications services' - 'services for the transfer of text, voice and graphical messages, technologically tightly linked to the communications services which are provided by third parties in the data transmission networks of communications operators," the newspaper said. These are primarily messengers, employees of several internet companies and communications operators, the newspaper said upon studying the document text; additionally, social networks can in theory fall under the effect of the law where it is also possible to share messages. First of all, the authors of the initiative suggest that the companies developing these services be able to operate in Russia only under a contract with communications operators. Secondly, they suggest making them notify Roskomnadzor, an authorized body, of their work, the newspaper said. If a service violates the law, the rules of communications services or a contract with an operator, the latter is to block its traffic unless it mends its ways, Vedomosti said. Under the initiative message exchange can be conducted only between identified users, the edition said. 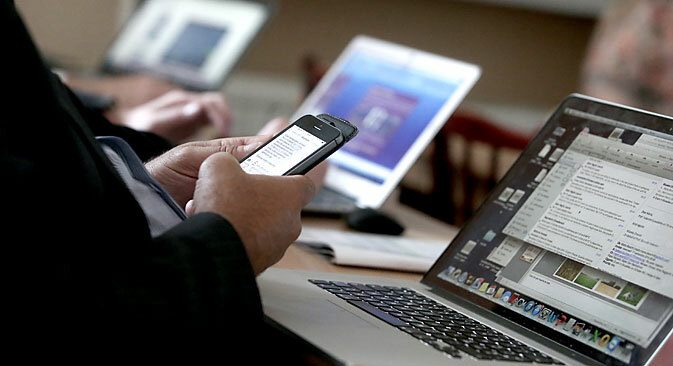 "Roskomnadzor has drafted this bill, officials of telecommunications and internet companies said. It is now being discussed in the working group, which includes officials and representatives of operators, one of them said," Vedomosti reported.